NIROMP Strategic Priorities and Vision 2019-22 out for consultation – National IRO Managers Partnership (NIROMP). Securing better life chances & choices for children in care and care leavers. NIROMP’s draft Strategic Priorities is now out for public consultation. The consultation is open until 28 February 2019. The NIROMP regional leads approved publication of the Draft Strategic Priorities & Vision 2019-2022 document at a meeting held at the Department for Education on 28th January. The draft plan has been developed following discussions with individuals, organisations and professionals. 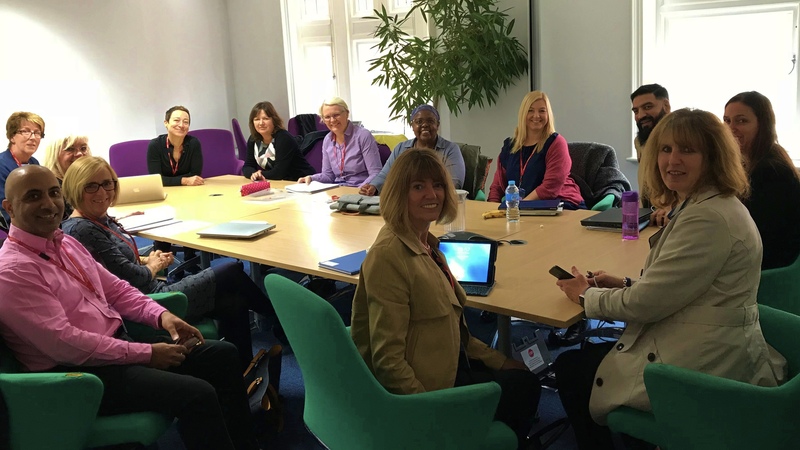 “These discussions helped us to understand how people involved with the independent reviewing offer system want our services to look, and what we should be focusing on. “The feedback gave us a picture of what is going well, what needs to be improved and what we need to concentrate on. It also highlighted that there are many and varied needs in relation to achieving more consistent IRO services across England and we have worked to shape our plan to meet these challenges. Your views will ensure that NIROMP builds on its evidence base about the independent reviewing officer system and the issues and challenges facing it. This will ensure that our plan is focused on the right areas and that we understand where changes are needed. To submit a response please add your views to the comments box below. Your name and individual details will not be published. The consultation period runs until Thursday 28 February 2019. The finalised document will be approved by NIROMP’s national leads by 28 March and published in April. If you are having difficulties downloading the document, please try using Google Chrome as your browser. Name (optional). See privacy statement. Your name will not be published or shared. Email (optional). See privacy statement. Your email will not be published or shared. In my opinion the IRO role could be more effective if it was more Independent. E.g separated from Local Authorities. Not sure if I saw Cultural needs outlined in the document?. Feel it would be good if IRO’s had the time to see Children and Young People on at least one occasion between Reviews in a more informal setting which could be conducive to Young People expressing how they are feeling more.i know some IRO s do this but not sure it is Universal Practice. Become welcomes NIROMP’s publication of their draft strategic priorities. It has a clear child-focused vision that emphasises the importance of both listening to and acting on the views of children in care. We know that many children in care and young care leavers do not fully understand their rights or have access to advocacy and other support; empowering children to understand their rights and influence decisions made about their lives is vital. NIROMP’s ability to work across England to protect and promote children’s rights is crucial, and we must all continue to work to ensure every child in care has equal access to high quality advocacy and review services that meet their needs and allow them to make their views heard in the way most appropriate for the individual child. We know from our own work that children in care often feel that they don’t have control over their lives, and often feel that their social worker makes all the decisions for them. The role of the IRO is crucial, and it’s important that children in care understand what an IRO is and how they can help them as soon as possible when they come into care. We are particularly pleased to see the emphasis on making the review process work for all children, with different ways to share their views in and outside of review meetings. This will be particularly important for those young people who may face additional barriers when communicating with professionals about their wishes, including younger children, disabled children, those in secure settings and unaccompanied asylum-seeking children. The emphasis both on the IROs’ skills and training as well as their commitment to children’s rights and voice is very good to see. It’s important that IROs are proactively visible so that children understand the service and how it can help them. Comment on Strategic Priorities 2019-22: The vision within this document strives to place children at the centre of their own lives seeking to ensure that they are worked alongside rather than ‘done to’. This is commendable. There is also a recognition that to deliver on the priorities, working together with other bodies such as ADCS to continue to lobby and educate the Govt on what LA’s require to deliver real change for children and young people who are looked after is essential. The independence of the IRO offers a real opportunity to truly be an advocate AND an activist with a small ‘a’. The document sets high standards and a demanding set of priorities; no less than children in care deserve. Comment on Contribution to sector led improvement: The climate we are in requires the most robust cross sector working, building communities that can offer informal interventions and opportunities as these can create a real difference for children and YP who have experienced trauma. We need our communities to be strengthened and that takes creativity and innovation. In the collaboration that you have laid out in this document, this is achievable. Alongside this, we all have to be campaigning for a more reasonable course of action and direction from central Govt and be willing to openly fight for our children. I’m not certain that everyone in the collaboration is willing to do that. But do that we must. Any additional feedback or comments: Good work! I had a look at the strategic priorities and these are my thoughts…..
• I think they are 4 good areas to focus upon. I wondered about a further standalone one about our challenge & advocacy function, both on national issues with regard to children in care but also of course when we have concerns for individual children we are working with. In my experience as an IRO in 2 L/A’s I think this is where we have the most inconsistencies and need to strengthen. I wonder if we could build in to the priorities more about learning from each other’s practices – this would include being creative in how we undertake reviews and enable meaningful participation, but also exploring challenge practice across regions – what worked etc. • I wanted the Voice of children priority to be more about IRO’s enabling meaningful participation – I think it might limit us by just saying we know their voice as I would want to think about how young people participate at all levels, from strategic visions / service delivery / children in care council etc and also of course individually, when thinking about their own stories and how they want to participate in a meaningful way to decision-making and their reviews. Again I really enjoyed your comment previously about the creativity of IRO’s in ensuring this and we could spell this out more and what the options for this might look like, giving examples etc of good practice already routinely undertaken. • I also wondered about mentioning NAIRO and linking in with them – are their connections already established ? The priorities and vision are good. Should the order of the two be different, i.e. vision and priorities? After the Oakley quote on page 3 could there be a quote from the Handbook e.g. Our goal is to ensure that every child who is looked after is “offered stable care which is sensitive…..2.8. Or, our goal is to ensure that every child who is looked after receives the same life opportunities as a “responsible and conscientious parent” would provide 2.10. Page 16 IROs ensuring the needs of parents involved in care proceedings…… welfare rights. This may be desirable from a humane point of view but I think runs the risk of being outside our remit? Page 16 could you add some bullet points about ensuring that the legal status of each looked after child is appropriate and that the correct steps have been taken to secure the immigration status of each looked after child. Also a bullet point about robust plans being made in good time as young people approach adulthood. The emphasis appears to be on placements alone. Something about recognising the needs of looked after children with additional needs and children in secure establishments? As an older person with care experience and a retired probation manager, it is a joy/privilege to be asked to share a few thoughts about this Strategy. Loud proud and entitled , feeling loved, securely cared for and listened too and significantly being understood, What, is there not to be liked ? With a growing momentum for real change across our Care family, this document epitomises the hopes and aspirations behind a language that cares, the centrality of our children and young person, the growing movement which call for compassion/kindness to be at the root of children and social care policy and, actions designed to bring the voices of our children and young people to the very core of their care Journey whilst ensuring the accountability of all those involved. It took me a couple of days to read and digest the document. It is well written and detailed and literally covers every thing. It’s good to raise our profile as IROs, it’s good to set the bar high and expect the best for the children we work for. I discussed it with 2 of my colleagues and they share the same view. Also we noted that it’s good to shift the focus from what bad practice looks like and talk and focus on what best practice looks like and should look like. This is a good framework to use when we self reflect and self inspect our own provisions and team performance. It will be good if Ofsted used this document as a framework for measuring the impact we make for the children and young people- measuring against the aims we set. Having a clear vision and clear expectations should leave no excuses for ineffective practice. Thank you and well done on the draft, it must’ve been a lot of work poured into it. Please understand that what follows is a personal expression. 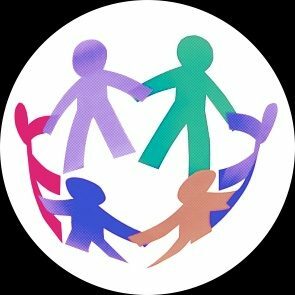 I am speaking neither for the ECLCM campaign or indeed for the Independent Children’s Homes Association both of which are areas of my activity. First, thank you for affording me the opportunity to comment on the document. I have already been public in my view that the role of the IRO is crucial going forward and that any suggestion (as we have faced) that the role be altered significantly or indeed deleted would further damage a Care System that is failing to cope with the demands placed upon it and failing, as it always has to meet the needs of all children placed in care, despite the best efforts of many professionals across the sector and employed in the State, Charity and Independent sectors. I have also been public in my view that personally I would prefer that IRO’s were not employed by Local Authorities but registered, inspected and managed as part of an independent entity. This is not because I believe that all IRO’s are guided by their employers into steering care plans a direction to suit budgetary or other constraints – most are not and have a proven track record of acting truly independently sometimes to their personal cost – but some undoubtedly are. Being employed independently would minimise both the actual and sometimes presumed accusation that IRO’s lack true independence. Finally, I would want to stress that whilst I do not speak for ECLCM I must state that this campaign, with my wholehearted support, calls for the IRO role to be extended to include their chairing of reviews for ‘Care Leavers’ who opt to Stay Put either in foster care or, hopefully in the future, residential care. I would first like to state that I am extremely pleased that it has been written and will be widely read. It is important that IRO’s as represented by NIROMP, have an independent voice and have taken the opportunity to state their priorities for the future and to that extent I welcome its publication. I am, perhaps predictably first drawn to Mr Zahawi’s statement in his ‘Message to IRO’s’. Typically, perhaps, he states, “There is potential for IROs to bring about significant practice improvements, alongside their role in ensuring that young people experience the best care from their fostering service”. What of residential care? Does the Minister even acknowledge that it exists? Personally, I would have preferred him to have been invited to re-write his statement including those often-forgotten children who for a range of reasons, in the main good reasons, who are in children’s homes. will have no influence on IRO’s always working on the principle that only the best and most appropriate plans for individual children will be acceptable regardless of local priorities. I very much welcome the commitment to ‘hearing the voice of the child’ as expressed particularly in the section ‘Voices of children – loud, proud and entitled’ and hope that the Regional Leads referred to in the preceding section will do all they can to engage children in this process. Whilst referring to the Regional Leads I trust also that these fine people will be championing the essential need to deliver a (real) therapeutic offering to all children in care, perhaps focussed in but not exclusive to Nicky’s Horn’s group? We have many providers in the children’s home sector – both public and independent – who falsely claim to offer a therapeutic service. IRO’s must challenge and expose such practice. Additionally, they must play their part individually as I know NIROMP does organisationally to challenge the inadequacy of many CAMHS services across the country. Your statement “55% of children in care do not know that they can access an independent advocate. (‘HELPING CHILDREN GET THE CARE EXPERIENCE THEY NEED’ 2015)” is welcomed. It implies that IRO’s should be challenging this. I trust that they will all be doing so in each and every review? Again, I welcome the section ‘The change we want to see’. Perhaps a stronger statement is required such as ‘The change we will demand to see’? The time for aspiration in children’s services has passed. We can (all) be far to idealistic in our views without backing up that idealism in action. experience to know that many, if not most, children see the IRO as part of the problem not part of the solution as they are simply seen as another r person form the LA who they meet periodically. In the section ‘How will NIROMP make a difference’? I have no doubt whatsoever about NIROMP’s commitment to this or the integrity of the organisation but I question if all IRO’s can or do have that same level of commitment and integrity – many are simply not brave enough given that they have line managers who are part of the LA hierarchy which means that the supervisory ‘tree’ conjoins at a point only a branch or two above that on which they are perched. The inclusion of Paul Bywaters’ statement is welcomed and entirely appropriate in my view. Paul is, of course an advocate of co-production and your section alongside his statement reflects this and happens to be something with which I agree. Unfortunately, we are some way from all of those sometimes diverse but all equally charged to help children across a range of professions – social care, health, education, the Police etc. – are willing to come together to act as Corporate Parent to their children. I was fortunate enough to once chair Child Protection conferences and reviews in my role as an LA Area Manager. Frustrated at the reluctance of other agencies to attend I staged a one-person protest against the failure of multi-agencies to come together in my area for such conferences by refusing to hold them. It lasted only two weeks before I effectively blackmailed them all to come. Of course, they were unwilling and unhelpful at first but soon grew into an understanding that together we could be a force for good. I am not suggesting that NIROMP encourage such a draconian approach but it may be something to think about? I apologise if what I’ve offered is considered to be critical in a negative way – I have not intended it to be so. As stated at the outset I totally support the principle of retaining and developing the role of IRO’s. I really do welcome the document (and I’m flattered and honoured to be invited to comment – perhaps for the one and only time!) and it contains great principle as I would have expected and commitment to children. I guess NIROMP might not need to exist if it was considered that all IRO’s are able to act truly independently but evidently and unequivocally it does need to exist. Perhaps my view that NIROMP could become an organisation that actually employed, licensed, monitored and ensure QA for all IRO’s would be unwelcome; but if not NIROMP then I would opt for another independent entity to take the lead responsibility in place of LA’s for the reasons previously stated. Comment on Strategic Priorities 2019-22: I think that your strategic priorities are well thought out and I applaud your commitment to keeping children’s voices at the heart of decision making. I fully agree that ‘children have a unique body of knowledge about their lives’ and that ‘decisions that are fully informed by children’s own perspectives will be more relevant, more effective and more sustainable’. Therefore including the views of children and young people in decision making can only better the outcomes for those involved. Children will be more committed to relationships and placements that they feel to be a good fit. I wholly agree that permanence should be a significant priority for children in care, and when children are happy in placements, their stability should be of key concern for professionals working with them. Finance should NEVER be used to justify lack of appropriate care for young people. As an organisation it would be nice to see NIROMP focus their gaze on the cuts actioned by central government, which are strangling Local Authorities and corporate parents. That’s looks like most angles are covered. I just wondered whether Anne Coffees findings that the use of Out Of Area Placements rising of 64% since 2012 should have some focus. I find kids come to — and then off they go and I never know what happens to them. Your service is the one consistent. I also believe we as LAs should challenge this practice when children are in private children’s homes. It is of course due to a lack of placements and LAs closing children’s homes but wondered if that should get a mention in terms of reducing this? 1. ‘The variability of practice nationally is well known. There is potential for IROs to bring about significant practice improvements, alongside their role in ensuring that young people experience the best care from their fostering service. Where IROs are valued and listened to, they provide a legitimate and respected challenge function for individual children’s care plans and the wider service delivery. We want to iron out the inconsistencies, where these serve only to undermine the function of the IRO and to ensure that where practice differs, it is for good reason.”. I like the idea that IRO will continue to be ‘Championing the rights of every child and challenging where appropriate to ensure these are integrated in policy and practice’. However any challenge appears to be more toward to the social worker rather than towards the LA. I have yet to see or learn of an IRO who has felt able to effect change within an LA for the benefit of the children or practice. I have regular conversations with IROs in Authority and they often feel as powerless as social workers within practice and are also working to very tight time scales and tell me that they have too many children on their own caseloads. Practice examples; as a practitioner I have been in the receiving end of some good feedback that would improve a child’s care plan such as ensuring that in my case notes reflected that I’d written in the care plan which soft toy is the child’s favourite and when the toy was last washed. I have also been on the receiving end of some suggestions that have made my own working life more difficult. Such as these ‘case notes are not up to date’ yet they knew these children were being visited every day for the first three weeks (Out of Authority taking ½ my working day). I felt that this was pointless to be written on the child’s case file and really would the child want to read this; that their social workers notes were out of time scales with no other explanation. Surely this should have been written in my supervision notes. In Child Protection Case Conferences too there needs to be consistency. At one point social workers never knew where the IRO would go with a meeting without a format. It was useful when the IRO who chaired Conferences were working from the same model/ format that social workers were. Plus within LA the model of working for this purpose it was the Signs of Safety Model and when the IRO was confident with the way of working with families the conference was more empowering for families and clearer for the social worker to feel confident in the plan moving forward. With regards to Children Looked After, I think there have been times when the IRO has not known the child at all and not visited prior to the initial care planning meeting or has even read fully the initial care plan for the child. As a result of the inconsistencies with IRO and their own competencies, there is often and deep dread if a child is allocated certain IROs within the LA. So for me consistency is important. I like the idea that there are regional leads with specific knowledge base. This should ensure that there is consistency for IROs is driven in that particular field. However I would have liked to have seen one Lead specific for care leavers as it is my view that IROs should have a significant role to ensure care leaver plans are adhered to until age 25 and that LAs do not shirk their responsibilities to this diaspora. My view: We, as in every person who comes into contact with the child should be an advocate for the child. Our children’s voices have not been not only listened to our often not been expressed within case notes or conference reports. I also think that our children being cared for in the state system should have a sense of entitlement and all resources should be made available to them. For example learning to drive a car and passing their drivers test. This is what most birth parents do to support their children they not only encourage it, they financially support it. I personally don’t buy the, ‘we can not afford’ rhetoric that we hear for the Government, they just need to manage their budget for our children better; after all they expect families to cut their cloth and budget better with less when birth families have children, then this should be the same so that our children in care do not go without. I feel that IROs should be able to hold to account LAs and challenge Government about the current economic climate, particularly when it comes to funding Looked after children services. My view: It’s a worry for me that children as young as 16 are being asked to leave their homes some as young as 16 years old particularly if they have been placed on Residential settings. We recently heard the documentary on radio 5 live, where by children under the age of 18 were living in squalid, unregulated accommodation and this impacting heavily on children’s physical and emotional wellbeing often leaving them vulnerable to exploitation (gang, sexual or financial). I think our children should be supported with a stable home until at least age 21 with a team supporting their progress and that this is over seen by the IRO. The IRO should be able to challenge the LA about plans for the young people’s future and what support they are or are not ensuring is in place. The home until 21 should be an entitlement, a commitment for LA not a half way house, or supported accommodation as what is the case at the moment. When we bring children into care there needs to be the commitment from either the foster carers or the residential setting where they are placed that this will be their home until age 21. Despite that they are no longer in care of the LA, as this ends at age 18 however that the home that they are living in is available until 21. Also seems to be a disparity in the type of support being offered to children who leave care who are either looked after via a care order or being placed under section 20. This was evident in recent blogs written for an organisation @Rescareto21. One child was told that they would revoke their section 20 status if they did not vacate their home in the residential setting and yet another child was not told this and the young person believed this is was purely down to their care status. For me this is where the IRO needed to have challenged the LA. I like that one of your roles will be to ‘promote use of the LGA guidance to councillors and help them to understand their corporate parenting responsibilities and that they effectively scrutinise services for looked after children’. It is my worry that the Government wish to disband the IROs in LA as they see them as not cost effective and an irritant. Yet for me I see their role as needing to be increased to challenge not only poor practice for social workers but also the LAs and Government particular when it come to their corporate responsibilities. ‘Partnership with parents, and viewing long term voluntary accommodation and shared care (between extended family and state) as a valuable alternative to Court’. For me in practice there did not often appear to be a real plan about what services would need to be put in place for the children to return home safely. Whilst it was written in the child’s plan, there did not appear to be any real discussion about what it would take realistically for the children to return home. It was almost as if now that they children are in care, they are safe and they will remain in care until they are 18. Whilst this may be right for some children this is not always the case for many and with the right support from the LA children may be able to return to either their parents or extended family. It is my belief that IROs should make more of their influence to look at return home planning within the child’s care plan and challenge LA about what this would look like and the steps that need to be taken by them to make this happen. For example, what learning do parents need or what services are needed to be allocated to support a return home plan. This is relevant as we are seeing an increase year on year with children being looked after. I feel that this piece of work is vital to be included within the IRO remit and welcome this being raised within the draft strategic document. I feel that I cannot add anything of significance to this except, that it may be something to consider that the NIROMP should meet annually with head social worker to ensure that neither one is missing pieces of the puzzle when it comes to practice locally or nationally, observing trends. I also believed that a good relationship should be maintained with ADCS however that there is a clear understanding of the role of being independent and be able to challenge where this is needed. Comment on Draft IRO Code of Practice: Yes there should be a code of conduct and I’m am in agreement with what is being suggested. Comment on Contribution to sector led improvement: I am of the opinion that Sector lead will improve over all practice when it comes to IROs own learning and development. The key issues are child centred and will achieve greater outcomes for children if adhered to.